① The View from Washington: What Next? A decade after the worst financial crisis in generations, the U.S. economy has recovered but the lingering effects of the crisis, the bailouts and the Great Recession on the economy and on American politics linker. David Wessel, the former economics editor of The Wall Street Journal and author of best-selliers, In Fed We Trust: Ben Bernanke’s War on the Great Panic and Red Ink: Inside the High Stakes Politics of the Federal Budget, will take stock of the latest turns in the economy and the latest twists in policy, and look at where the White House, Congress and the Fed are likely to go next. David Wessel is director of the Hutchins Center on Fiscal and Monetary Policy at the Brookings Institute, which provides independent, non-partisan analysis of fiscal and monetary policy issues in order to further public understanding and to improve the quality and effectiveness of those policies. 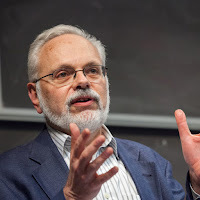 He joined Brookings Institution in December 2013 after 30 years on the staff of The Wall Street Journal where, most recently, he was economics editor and wrote the weekly Capital column. He is a contributing correspondent to The Wall Street Journal, appears frequently on NPR’s Morning Edition and tweets often at @davidmwessel. 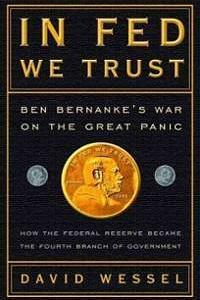 David is the author of two New York Times best sellers: In Fed We Trust: Ben Bernanke’s War on the Great Panic (2009) and Red Ink: Inside the High Stakes Politics of the Federal Budget (2012.) He has shared two Pulitzer Prizes, one in 1984 for a Boston Globe series on the persistence of racism in Boston and the other in 2003 for Wall Street Journal stories on corporate scandals. A native of New Haven, Conn. and a product of its public schools, David is a 1975 graduate of Haverford College. He was a Knight-Bagehot Fellow in Business and Economics Journalism at Columbia University in 1980-81.